When I am sit alone, my heart’s beat starts and my inner self (feelings and emotions) wake up, then my heart keeps beating constantly and rapidly. That is the time when my emotions, my feelings and my desires emerge out explosively. My pathetic and heartrending emotions, feelings and desires start heartache. My eyes burst into tears. Suddenly, some doleful and painful questions arise, heart in heart. The heart starts questioning from my inner self. 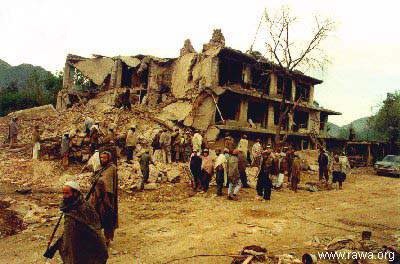 Oh friend, tell me, do you know the state and condition of my village and country after destruction from long period. Do the Afghan people enjoying different ceremonies jubilantly and rejoicingly? Do the Elders still sit together and narrate the folk stories and honor their turbans with grace? Do the children still play in the playground? Do the children, “the flowers of garden” are still laughing and kidding with each other? Do the young still meet in the Hujras (a place where the youngsters from the village meet, enjoy and making fun of each other). Do the youngsters still sing together and play banjo and mandolin in the Hujras? Do the youth still play, make fun together and do the traditional dance (Attan: a traditional dance of Pashtoon Afghan, in a circle together (elders and younger)). Do the girls still going out to fetch the water from well? Do they still fill the fitchers with their handsome and delicate hands? 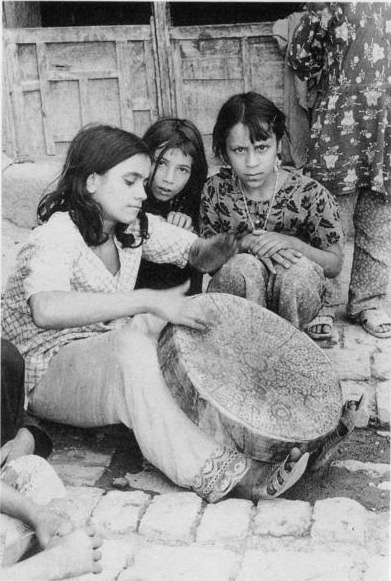 Do they still beat the tambourine with panted hands (Henna)? Do their bangles still jingles on their delicate hands? Do the girls still go to the school and colleges? Do the girls still working in the field shoulder to shoulder and hands in hands with the youth? Do the girls still perform their jobs in the farm house with their beloved? Do the girls are free to share their voice? Do the girls have rights to get education? Do the birds are still chirping in morning and evening. Do the birds still sing the beautiful songs in their chirpy voice? My inner self cries, while answering the questions and says I have heard that the country has been completely demolished and the black shadow of dark clouds has been taken over on the village and the beloved country. The white snakes start biting the innocent nation. The people fight against them but they are helpless and too much tired from wars which have been started since from last thirty years. The playgrounds turned into deserts and the lovely children become so sad. The hands of the youngsters are in chains. They are unable to explore themselves. The Hujras has been destroyed where elders meet and the youngster laughed. The youngster mourns rather to make a traditional dance. The girls are still bounded into the four walls of house. The girls are weeping in their homes. They cry and mourn over the deaths of their beloved ones rather to beat the tambourine. Their bangles have been broken while mourning. The schools and colleges have been destroyed. How silly the question is that the girls are working hand in hand and shoulder to shoulder in the field and in the farm house. They are not even saved in their homes. The singing and playing banjo and mandolin has stopped because the Hujras are no more exist, it has been destroyed by our enemies. The gardens have been burned; the chirpy voices of birds have been faded and no more exist. 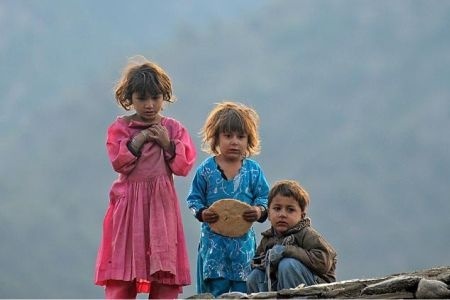 The chirpy sounds of birds in the trees of houses turned into the screaming of Afghans. 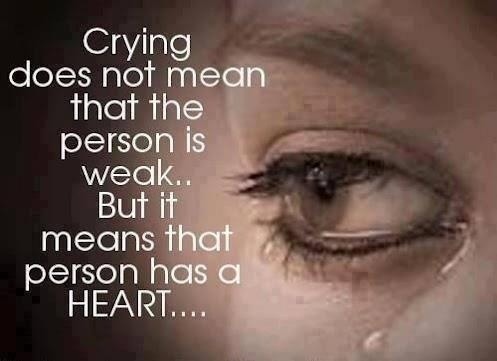 The inner self cries more loudly and said, each and everything have been destroyed. The moralities have been destroyed, the traditions have been buried and the culture has been disappeared. The love and sympathy has gone away. The truth and reality have been lost, the grace and honor is faded away. The voice of peace, the word of peace is no more exist by the way. All the desires have been covered by the black smokes and clouds of destruction and explosives. Both of my heart and inner self stopped crying and take a long sighs. Both of them start the same questions that who is responsible for all of this destruction? Who is destroying our calmness and rest? Who is busy, putting us into the deep well of hatred and wars? Who is crushing our people? Who is eliminating you and me? Who is destroying our Hujras and traditions? Who are taking the rights of education from us? Who are they who want to bury our voices of truth and peace? Once again both of them take a long breadth and sighs hopefully and said we have to know those who are our enemies, who take the rest from us. We have to realize our mistakes. We have to make awareness in the people about our barbarians and cruel enemies. We have to lit the candle of knowledge. We must have to spread the education in every corner of the country. There is a need to unite our elders. There is a need to come under the platform of a successful ideology. 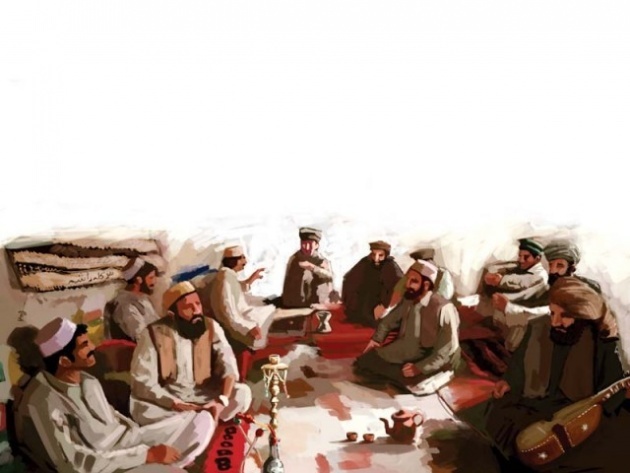 There is need of our traditional Jirga (elders gathering for serious national issues). There is a need of our elder’s unity by organizing Grand Jirga. 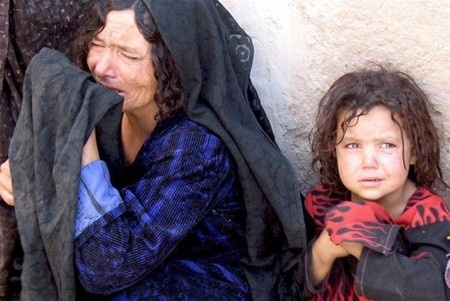 And at last there should be peace, love and unity in the villages of Afghans once again.